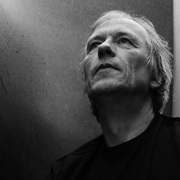 The music of Erik Wøllo has more places to chill than an igloo. 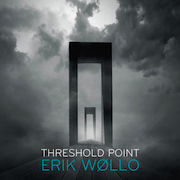 His album Threshold Point (60'37") features nine tracks that run in cool, unpredictable swerves and drifts of conversation. Always meeting the harmonic demands of his audience, Wøllo clothes supple melodic lines in a blanket of synthesized consonance. Climbing gradually and gracefully to its highest point, then with dignity traveling home again, his guitar solos conjure places known to but a few contemporary musicians. While so many rows of notes dance in all the pleasant complexities of syncopation, echoing up and down their scales, we listeners may rest - contently attuned with this beauty. In building Threshold Point Wøllo used rhythm, tone and pitch as his raw material. Here, rhythm is an appeal to the feelings, rather than an exercise of mathematical faculty. Tone combined with mood delivers a distinctive atmosphere, and tuneful arrangements of pitch brings the listener to a point of emotion - which then (as an element in the structure of each piece) leads to a feeling for climax. We will find no formal border between Wøllo's music and the mainstream, as his work resides safely at the northern fringes of this realm. Identified by its boreal cursive elegance, Threshold Point displays a level of inventiveness that most musicians have not yet reached. So much of modern music and art is meant to provoke - inciting us to apply meaning. Erik Wøllo does believe that the world needs more people thinking, learning, and thereby becoming better. But he knows that society grinds on us enough so why should his music? From the steady and true creative engine of this man we hear his art, and cannot help but feel his humanity.